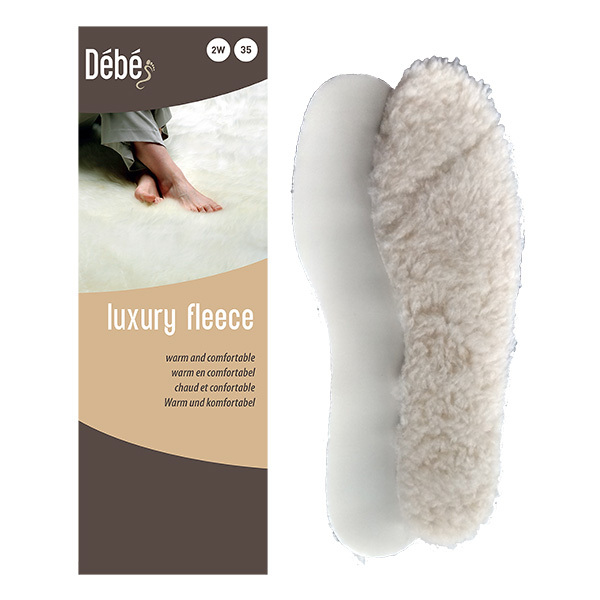 The Debe Luxury Fleece Wool Insole has a fleecy wool fabric top with latex bottom layer. The latex ensures your feet stay comfortable and the fleecy wool fabric top layer provides warmth through the winter months. Available in 10 sizes.